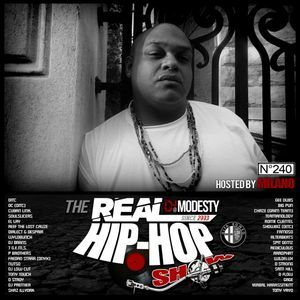 DJ MODESTY, DITC feat OC, CUBAN LINK & MILANO, Soulslicers feat El Lay, Caesar Glomgold feat. Reef The Lost Cauze & J.O. The Last Man, Milano and more. In this episode felt strong energy... Very cool!!! Thank you for your work! Respect to DJ Modesty, MILANO & VA!